After the massive relaunch last year, rebranding from GT back to Gay Times and the announcement of a new CEO, one of the world’s leading LGBTQ+ magazines dropped into Birmingham to engage the city’s queer community. 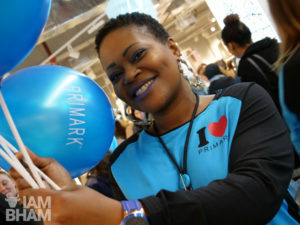 With the publication going from strength to strength in recent months in its mission to embrace a more inclusive level of diversity and representation, Birmingham was its first stop in a series of networking events set to be held across the country, lead by new CEO Tag Warner. A man of charm and charisma, Tag Warner has, at the age of only 24, become the youngest person to be named CEO of Gay Times in the publication’s history, stating that “Gay Times in 2019 is set to be our most diverse and dynamic year yet, and I’m excited to share the wide-ranging plans we have in store”. In less than a month, Warner has already started to shift paradigms within the LGBTQ+ media industry. 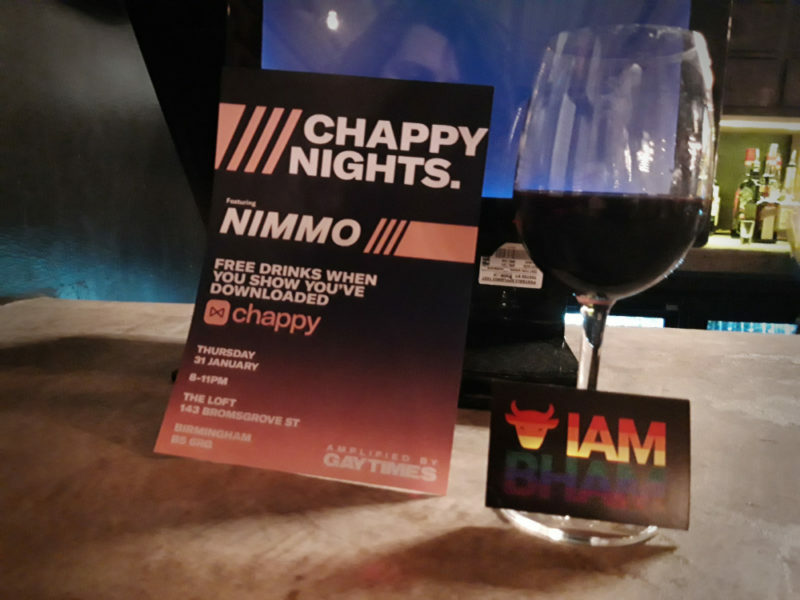 In partnership with gay dating app Chappy, Gay Times has begun hosting “Chappy Nights”, a series of networking events that bring together members of the LGBTQ+ spectrum in cities across the UK. The niche media platform hopes the branching out will help them become familiar with local gay cultures that exist outside of the capital. As a platform with a global reach, Warner wants Gay Times to “amplify queer voices” that would otherwise get less attention, especially those beyond London. Taking notice of Britain’s other cities – that are all too often overshadowed by the massive centralisation of culture in the capital – appears to be a power move that many LGBTQ+ citizens in Birmingham will wholeheartedly welcome. 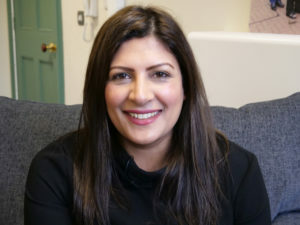 “After a number of years consuming and working within LGBTQ media, I took on a personal mission to try and help better connect LGTBQ people from around the world; with stories, experiences and with each other. I believe our community, now perhaps more than ever, need greater platforms to raise and amplify our voices,” says Warner. 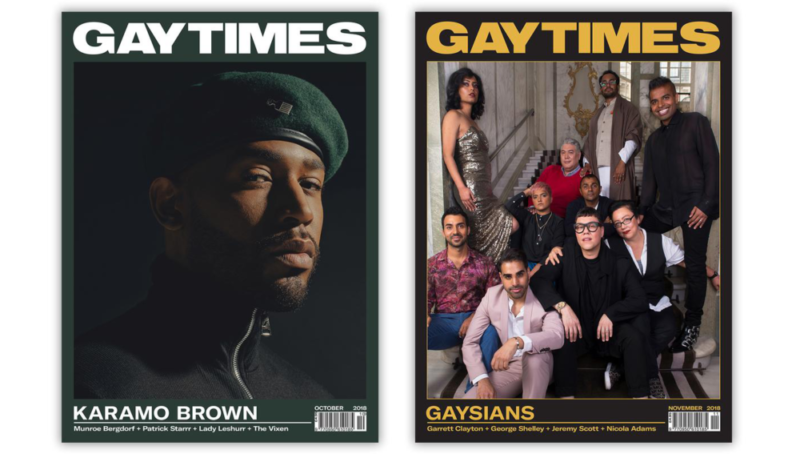 Amid criticisms of national queer platforms being dominated by white males viewing an LGBT world through a white lens, Gay Times is beginning to champion better representation in a similar vein to Diva magazine, which targets a British lesbian demographic. In its October 2018 edition, Gay Times dedicated their entire issue to Black History Month, offering in-depth features and pictorials highlighting black LGBTQ+ figures and role models. This was followed by a November edition spotlighting Asian LGBTQ+ achievement. 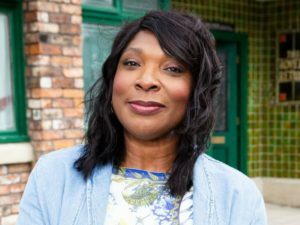 Engaging with regional and underrepresented communities is part of Warner’s strategy to breathe new life into the publication, which has been printed every month since 1984. Chappy Nights are part of that strategy. 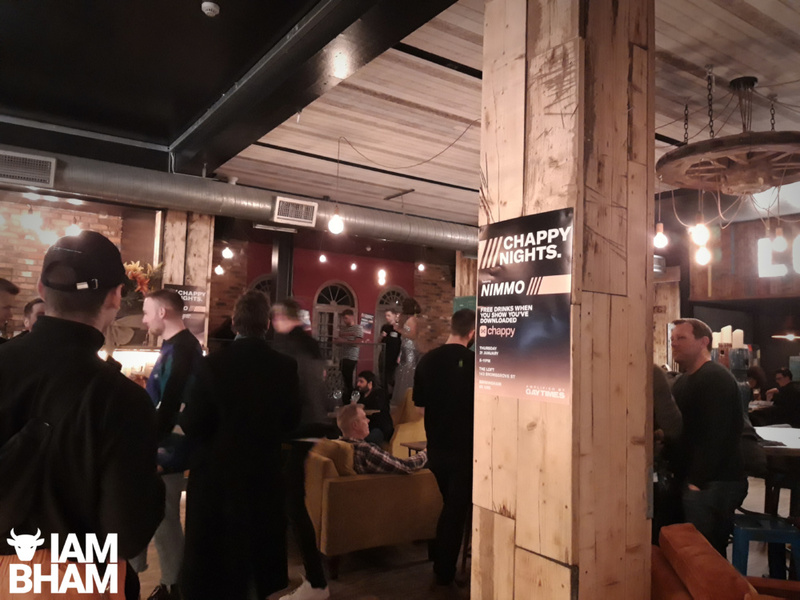 I Am Birmingham, which has been pushing LGBT+ and BAME representation in independent media in the West Midlands for nearly a decade, was one of a few mainstream news outlets invited to the debut event. 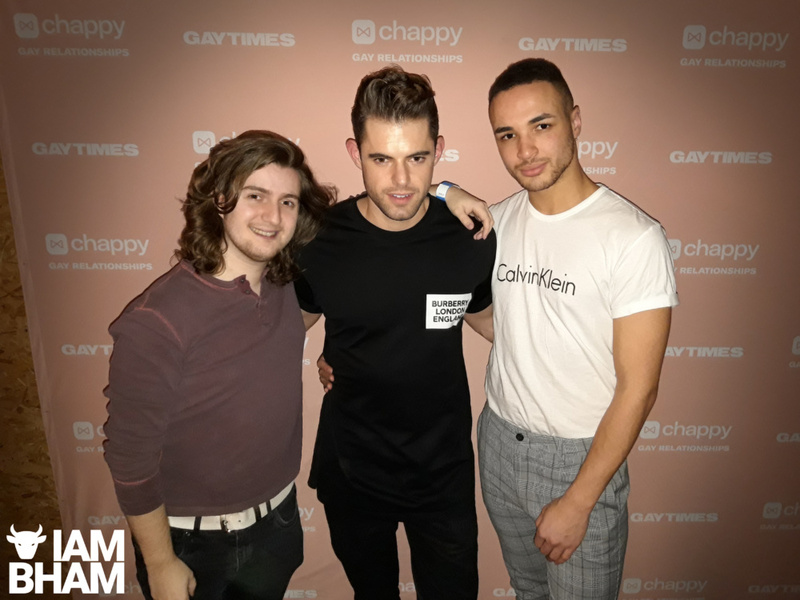 The platform’s brand ambassador Joshua Williams said: “I must admit the Birmingham Chappy Nights event caught me off guard! It was quite refreshing to see a mixer bringing together different people from across the local scene in a relaxed atmosphere. The fact that Gay Times is trying to branch out from London only emphasises the fact that Birmingham’s scene is not only on the rise, but something to be championed and celebrated”. 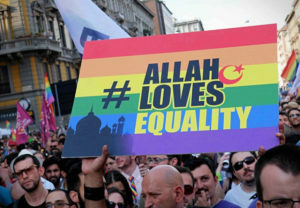 Perhaps with Warner hoping to lead the charge of decentralisation of queer voices, and adding a new spotlight on Birmingham’s thriving gay culture, plans to redevelop the Gay Village in to high rise flats may be have another spanner thrown into their works. 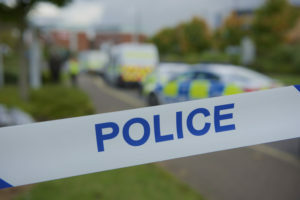 Not only that, but with Birmingham Pride just around the corner – annually attracting tens of thousands of spectators who line the city’s streets in a beautiful display of colour and diversity – it’s bound to be a year of vocalisation for more marginalised sections of the LGBTQ+ community.